A Passion for Change | Collaborate for Change! « Project Based, Collaborative, Student Driven Learning Works!!! Millions of kids from across the planet decide to take action into their own hands. Just how much do young people care about the rainforests? Here’s a clue. Virgo productions gave Varsity College one week to ask their students who would come out and rally behind the DeforestAction cause. 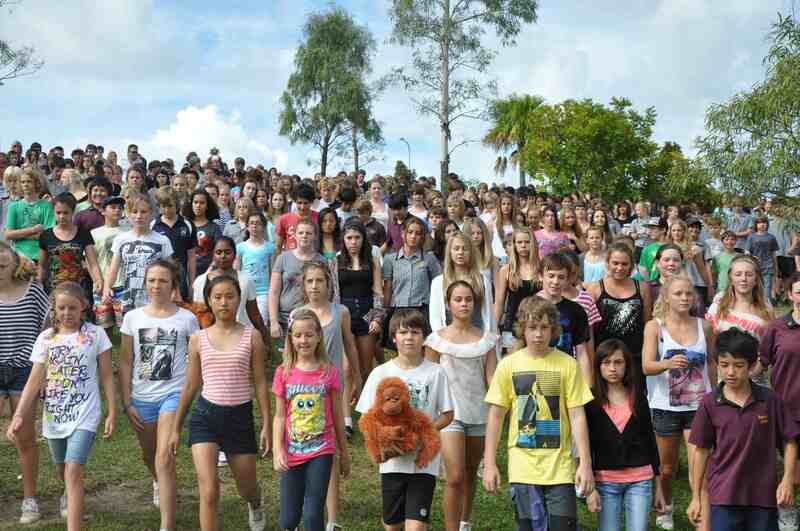 Of the nearly 3,000 students in the school, 700 turned up on the day, in their own time, to be part of the march. These days, you’d be pushing your luck getting that many to turn up for ice cream. Varsity College on the Gold Coast is one of the most impressive schools in Australia. The leadership team at the school had been strong supporters of DeforestAction and heavily invovled from the second mentorship phase. But it’s the kids who really sell this story. The team from Virgo interviewed many of the students to find out why they care so much about this cause. The answers were so profoundly strong, you’ll probably catch a few of them in the movie (or at least the DVD extras).